Problems with the Cervical facet joints are one of the most common sources of neck pain – a 2004 study found that prevalence of facet joint pain in patients with chronic cervical spine pain is approximately 55%. The good news is that conservative care, including stretching and strengthening exercises, as well as postural correction, can often help to minimize the symptoms of cervical facet joint syndrome. •	Achy, widespread (Diffuse) pain felt in the shoulders, neck and back of the skull, and/or upper and mid back. Can occur on one side, or on both sides of the body. •	Pain in between the shoulder blades. •	Radiating pain into the arms. •	Pain may be constant or come and go. 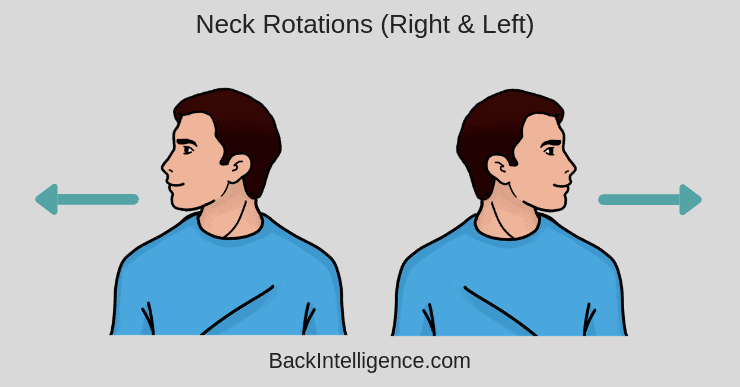 •	Decreased range of motion in the neck and upper back. •	Swelling and tenderness to palpation around the affected facet joint. •	Recurrent headaches, typically located in the back of the head. •	Ringing in the ears. Facet joint syndrome is the result of degenerative changes to the joints that are located between the bones of in the back of the spine, known as the facet joints. The cartilage inside the facet joints can break down and become inflamed, which is often referred to as: Facet joint degenerative osteoarthritis. This can trigger pain around the spine and the surrounding nerve endings; the muscles in the area then stiffen and spasm, leading to typical symptoms of cervical facet joint syndrome. Facet joint degenerative osteoarthritis is the most frequent form of facet joint pain. •	Injury (i.e. whiplash, repetitive strain injuries). •	Poor posture (i.e forward head posture, rounded shoulders). •	Spinal conditions (i.e. scoliosis, kyphosis). This will add some range of motion to the neck. * Only rotate to a pain-free range. Don’t push through any pain. This will release the neck muscles, as well as open up the facet joints in the back – providing some relief. 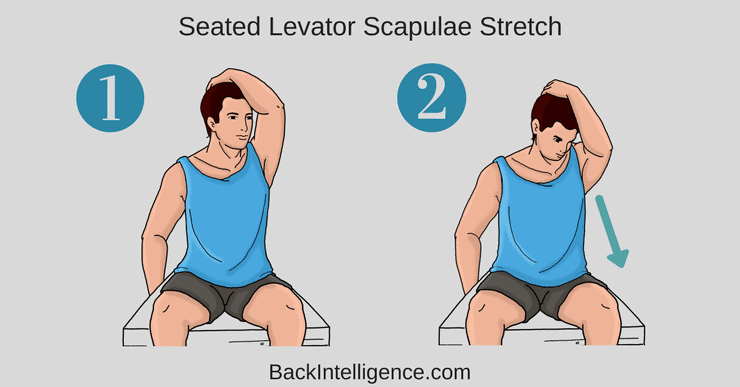 This will help strengthen the weak neck muscles and help you get into a better posture. – Begin sitting in an upright position, shoulders slightly back, head looking straight ahead. It might be easiest to begin doing this in front of a mirror. 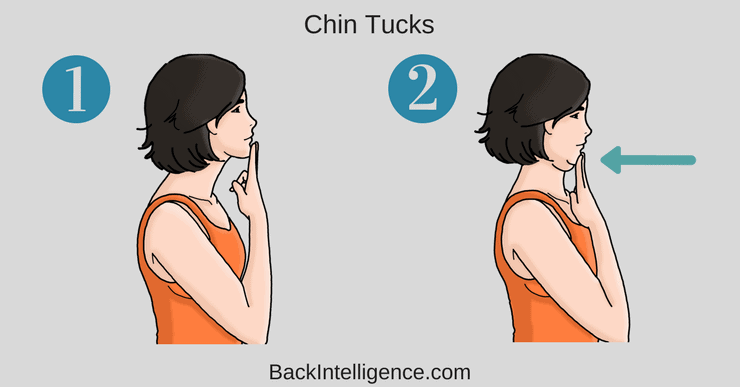 – While keeping your face and mouth relaxed, slowly glide your head straight back, as if you are trying to make a “double chin”. – Make sure not to open your mouth with this movement. – While holding this position, slowly look down towards your chest with your entire head. – Hold this position for 10 seconds, then repeat it 10 times. – Remember to keep the “tucked” position the entire time. The post Cervical Facet Joint Pain – Treatment & Exercises appeared first on Back Intelligence.